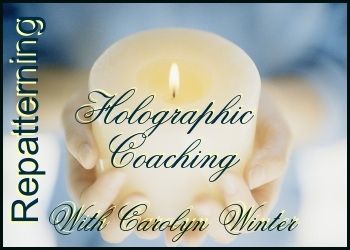 Last week I opened the hologram for the Time on MY Side series of 3 group proxy sessions with eager anticipation. Something always nifty happens for me personally when I get these holograms underway. Ever since my first offering of this topic back in 2008 I have noticed my own sense of timing and time shifting. More and more, my detailed ‘to do’ lists seem to matter less and the most important thing to focus on in the moment is naturally in my awareness. Gone are the times when I reach the end of the day thinking about what I didn’t do or finish or accomplish. More and more, I feel satisfied about how the day has turned out for me and I start the next one with a natural pull towards what really needs my time and attention. At least it is happening more often than those times when everything feels rushed or crunched. It occurs to me that when this happens my energy is focused in the present moment. This is a very good thing. Why? For a long time now I have noticed how the universe has put its finger on the fast forward button for time, and that time is waiting for no one. I say it’s the internet and I am noticing experts in many fields from spirituality to marketing saying essentially the same thing. The longheld goal of many spiritual paths is to overcome ego driven concerns and to be in the present moment with full awareness. In past decades and centuries reaching this exalted state meant joining a spiritual path with a spiritual leader and following without question his or her instructions and requirements for true enlightenment. However, after listening to the views of spiritual thought leaders such as Ken Wilber, Craig Hamilton or Steve Macintosh, I realize that this approach has become less popular. Instead, many are looking for an inner directed path of self-responsibility with a smorgasbord learning approach to spirituality. 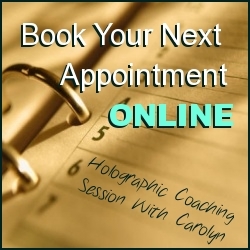 We hop from workshop to workshop, book to book and web site to blog in rapid succession, gleaning new ideas for being in the world that is aligned with our inner being or true self. The knowledge that brings us to the present moment is discovered, learned and integrated faster than ever. Spiritual leaders lament that in doing so, we may still be driven by ego and without a master have not learned anything at all. I think they may be proved wrong. Historically, just reading about these things may have not been enough to change our habits. However, in the dawning of the information age, real time events happening in micro seconds are now forcing us to be ever present ,whether we want to be or not, to participate successfully and be part of a world now fully wired. The pace is only accelerating. about and discuss the need for being able to adapt and act on opportunities available in the moment. (He has a new book coming out shortly called Real Time Marketing). In one of his conference speeches, Scott gave the example of Dave Caroll the young man from Nova Scotia who wrote the YouTube video hit “United Breaks Guitars”. The video had the attention of the world within 48 hours and Caroll, acting in the moment for many opportunities for media interviews, or opportunities such as one to sign a contract for endorsing a guitar case made for travelling. He arranged the deal by cell phone. To make these kinds of decisions successfully I believe takes another set of qualities historically part of a spiritual path towards enlightenment and yet now discussed in marketing circles. Chris Brogan and Julien Smith’s best selling book Trust Agents, goes into detail about the qualities of trust, integrity, transparency and authenticity needed for successful business relationships especially online. It’s why some companies do well with activities known as ‘brand journalism’ and others are still trying to get their customers to buy through tactics of guilt, fear, or greed. Call me crazy, but I wonder if the new spiritual gurus will be the thought leaders of social content marketing world! The thing is this, the information age we are now entering more than ever requires us to be clear of the baggage that stops us from being authentic and true to ourselves. Our happiness may depend more on our clear present ability to act in the moment without worrying about what uncle Harry would say, or the unresolved sibling rivalry issues of our childhood, or the unresolved hurts stock piled when our needs were not met. We can no longer afford to take our negative projections into the workplace, relationships or whatever matters to us and expect to get a positive result as we may have done in the past when time could cover up the facts. The real-time information flow surrounding everything we do is interfering with our ego driven strategies more and more and creating new points of choice to be in the moment. So it is with eager anticipation that I engage in facilitating holograms for personal change like Time On MY Side, where patterns can be transformed efficiently. Who knows what present moment gift will result next. Are you noticing an acceleration in time? How are you handling real-time points of choice? What have been some of your rewards for acting in real-time? September 20, 2010 in Energize!, Integral Business, Time On MY Side. Are You Operating From the Present Moment?